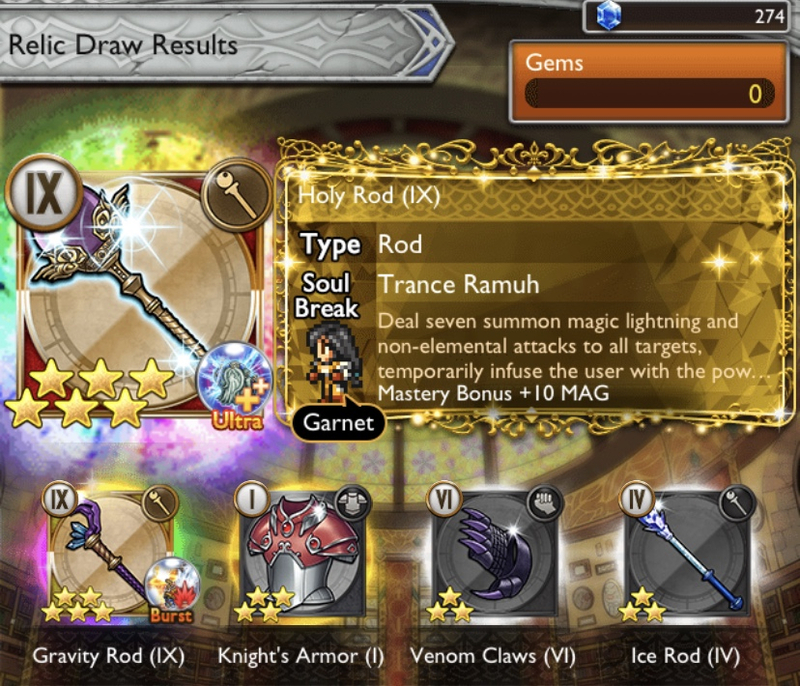 Got two disco for the 5 mythril on the nine pull, garnet lightning chain and Amarant usb. My first lightning chain so that’s good. Of course garnet is still level 1, but no big deal. Garnet's a Pretty Big Deal with that chain. She can do damage with Valigarmanda, she can off-heal with Curaja, and she can buff the party with Warrior's Hymn or Allegro Con Moto. So III torment this week, right? This might be the first one I manage to ??? off the bat, at least to some decent percentage. But what's particularly funny is that my team is so concentrated that I have no idea who my fifth person should be. Arc: SSB, BSB, USB - SSB is good for healing, everything else is offensive, tho. Kinda thinking of bringing Aria to be primary healer while Arc does some holy action, and dropping CoD for an entrust bot to keep feeding meter to Luneth. Yo, does Radiant Shield increment a Realm chain if the damage is bouncing off of in-realm characters? Because that would be a big factor into me using Ingus’s B2 instead of his B1, if I field him. FFVIII pull even though I literally don't know what I really want from it. Yeah, I'll take that! He always did need something to spend meter on after the initial Burst or Ultra. this has been, by far, my worst realms on parade, things would have to take a sudden, extreme turn. and there was one time where i got 9 dupes, but at least i got a useful item. It's a great +Dark sword though, 18 hits for realm chain in torment, and more to the point, my first Party Powerchain. You've got me curious now. Huh, that's certainly interesting. 18 hits is a weird number, but one can't fault a partywide powerchain. It's basically a physical-only, souped-up version of that one that Vayne has. Rinoa OSB. I have stuff for Rinoa, but not really earth stuff. Unless you count the glint. At least it's not another dupe. Rinoa OSB+Glint is on my sub-30 5* magicite team, FWIW. ....huh. well, I have both of his SSBs, both of his BSBs, his LMR, and now his USB. Guess I need to start using Zell more. And maybe dive? IDK. Beats another dupe at least. I didn’t even know that existed! 2/3 Discos!! 0.0 so many possibilities! Ultimecia OSB - not a dupe but not really useful. Selphie USB - Instant large Medica, reraise, Astra - I will take it! All I have for healing in VIII was her bsb with no entry heal and a really weak single heal? Success enough Parade was going pretty disappointingly up til this point so I'm excite. Also 2/3 twice in one parade is shocking for me. Can you describe your team? I have both of those and am having trouble with King B.
VIII: 1/3, one disco. Irvine USB! Not sure how to use this thing quite yet, but I bet it'll come in handy for VIII stuff! I've got a very specific no healer insanity going on. Zell BSB1 off the parade draw. I remember when that thing was a meta defining item. Now it doesn't really fit anywhere. I have like three fire monks and three Earth monks ahead of him. Maybe it will see use in Torment. Maybe. JP just got a QoL adjustment. Parade draw gives me... 1/3, no disco. Fujin's Glint- increase wind attack levels by two, next two actions on reduced delay. Triggers instantly. She's turning into quite the little wind mage, I think. That mess was so annoying with fights like Belias, where a crit can mean the difference between life and death early on. Rinoa USB. Already have her chain so that's a nice addition if she ever has meter for both. Haha damn the new "Magicite" has a move that deactivates your magicites. For everyone who has never gotten Edge USB0, you should be able to in 6 months time. Weirdly, LMRs cost more than BSBs or OSBs in the Record Lab. Retroactive record dungeon prizes, JP got 25,000ish Level 1 lenses and 5,000ish Level 2. So basically we shouldn't agonize over Unique/SSB stuff in AA and just pick already. Maybe? I'm not sure exactly what can be redeemed in the Lab. Sounds like there's a cutoff date, but that shouldn't matter for Uniques. Maybe newer SSBs might not be in. wow...Selphie USB2. I already did this torment but Instant Astra? Yes please. Festival Phase 1 5:00 PM 12/25 PST (1:00 AM 12/26 UTC) to 4:59 PM 12/27 PST (0:59 AM 12/28 UTC) New relics include Onion Knight's Arcane Overstrike, and Tyro and Y'shtola's Ultra Soul Breaks. Cloud's Arcane Overstrike makes its return! Festival Phase 2 5:00 PM 12/27 PST (1:00 AM 12/28 UTC) to 4:59 PM 12/29 PST (0:59 AM 12/30 UTC) The second phase brings a lineup focused on earth! Rydia gets new Arcane Overstrike and Ultra Soul Break relics, while Red XIII gets a new Ultra Soul Break as well! Festival Phase 3 5:00 PM 12/29 PST (1:00 AM 12/30 UTC) to 4:59 PM 12/31 PST (0:59 AM 1/1 UTC) Ultra Soul Breaks for Elarra and Cecil (Paladin), and Edward's Chain Soul Break debut! You'll also have another chance to get Celes's Arcane Overstrike. Festival Phase 4 5:00 PM 12/31 PST (1:00 AM 1/1 UTC) to 4:59 PM 1/2 PST (0:59 AM 1/3 UTC) This banner heats things up as Squall gets a new fire-elemental Ultra Soul Break, Vivi and Zell unleash their Arcane Overstrikes, and Vincent's Ultra Soul Break appears as well! Festival Phase 5 5:00 PM 1/2 PST (1:00 AM 1/3 UTC) to 4:59 PM 1/4 PST (0:59 AM 12/28 UTC) Lulu debuts her Arcane Overstrike and Ultra Soul Break, and Reno has a new Ultra Soul Break too! Squall's Arcane Overstrike makes its return. Banners 1 & 3 getting all mixed up, rest of them seem unchanged for the big prizes. Celes Arcane is replacing something in the 1/3 mix-up banners. Squall Arcane in Banner 5 replacing something too. Either Prompto Chain or Rinoa ice BUSB, probably? Lucky Draws for LMR, OSB, and USB are set for the 22nd, 23rd, and 24th. Don't snooze on these, they are only up for 24 hours. No mention of a 33-pull or gem draws, but I wouldn't count them out yet. Just remember these banner probably have the much maligned format with higher off banner. The banner change is probably why the events were delayed till after maintenance.  VI this week? Well, I’d best clean out those story dungeons, then. I’ll like to try at least once for Wind God Gau. Which means we're still waiting on the FF3 event and Torment, and I think Heat Offering/Lunar Ifrit from Rubies, which, you know, might be useful for Manticore and Mateus dropping tomorrow. Well, if that happens, they can wait. Oh man will there ever be a CSB select? I'd kill for those. I wonder what I should pick up on the USB select...I might go for Orlandeu for Holy/Dark shenanigans or Bartz for multielement mayhem. There is a banner coming in six months with 6-8 chains on it depending on how accurate my memory is. Japan got a Chain select but I think it was 90$ or something reasonable like that. I hope Heat Offering arrives soon. I am probably going to want to start banging my head against D$$$ while visiting family, now that I can assemble a magicite loadout with HP Boon 8s, Blade Ward 8s, and Spell Ward 8s. And Heat Offering will fit nicely into like half of my realm teams, maybe even more. So I got Garnet's Chain on the Daily Draw today. It's a dupe, and wasted on me. I'm so sorry every who could have actually used this. I'm thinking keep it separate, for two 6* +Lightning Light armors. When Heat Offering exists, I wonder if it would be a good idea for me to try fielding Balthier? The only relevant soul breaks I have are his Enfire S, and his B1. But he has his dualcast Machinist RLM. ...on the other hand, he’s competing with Locke, Refia, Auron, Bartz, and Jecht. His access to an Imperil-chance ability seems like less of a real option in comparison. Hmm so the 5* magicite is the end of the line apparently.